We Buy Junk Cars in Fort Worth TX! Sell Your Car in 24-48 Hours. Looking for cash for your junk car in Fort Worth? We offer top junk car prices and pay you in 24-48 hours! Dallas, what do you do when you have a damaged car and need to sell it? What’s do you do when you’re thinking to yourself “I need to sell my car fast”? With icy winter weather, tornados, traffic and trucks on the LBJ Freeway, and other Dallas-Fort Worth drivers, the Dallas-Fort Worth Metroplex can be hard on a vehicle. 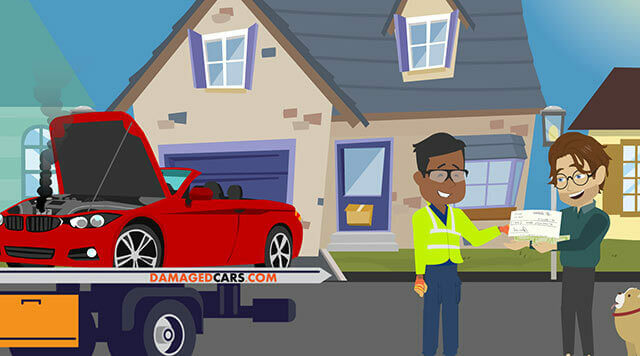 I doesn’t matter if you’ve been in a car accident, have damaged car, blown motor, slipping transmission, or just have a car nearing the end of its roadworthy life, DamagedCars.com can help. We buy old cars, damaged cars, or even junk cars all over Fort Worth. 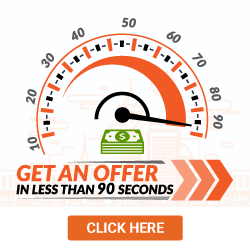 We'll give you an offer for your car as-is, in 90 seconds or less! If you want to sell your car in Texas quick and easy, you can sell it to us online fast! We’ll buy your car in any condition, even if it’s wrecked or has major mechanical issues! It doesn’t matter if you’re in Dallas, Arlington, Fort Worth, Plano, Irving, Grapevine, Carrolton, Frisco, McKinney, Richardson or Denton, DamagedCars.com will buy your wrecked, junk, salvage or mechanically broken-down vehicle. 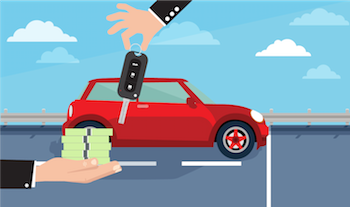 Submit a quote to start the process to get cash for your car in Dallas, a check for your wreck in Fort Worth, cash for your clunker in Arlington or money for your damaged late-model car, truck or SUV in Plano. We’ll even work with you on what to do after a car accident to get you the best value for your car. Is Selling Your Junk Car in Ft. Worth, Worth It? It depends on the situation. Since we buy all cars, makes, models, and in any condition, we see every type of car you can imagine. From a 50 year old rust bucket to a pretty new, but totaled, sports car, we have seen and purchased everything. 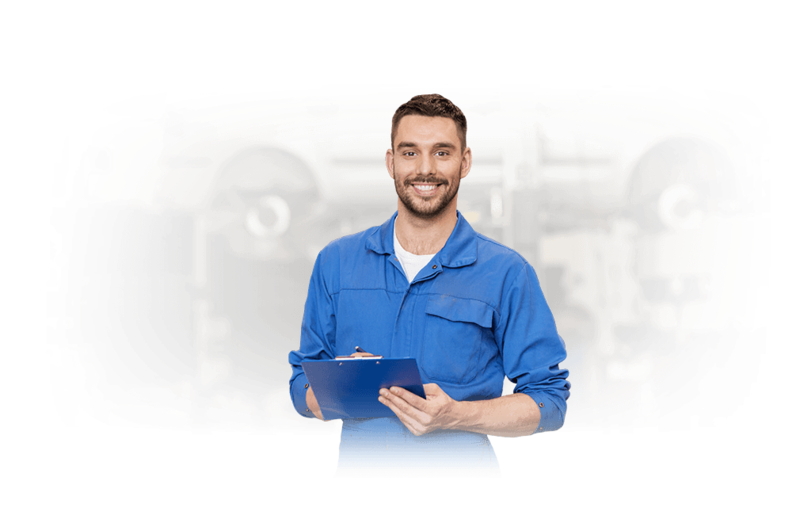 This puts us in a unique situation to evaluate your car, with years of damaged automobile pricing knowledge, we can give you what your car is really worth. Usually we can give you an offer that beats local junk yards in Fort Worth, and other places that are willing to buy your car. On top of that our top tier customer service, free towing, and 1 to 2 day turnaround time makes us competitive in the industry. To see if it makes sense to sell your car with us you can easily fill out an online form, get an instant quote, and make a decision about what to do with your vehicle. Sell Your Car in Forth Worth, Fast! Because repair isn’t always the best option, sell your car to DamagedCars.com where we buy cars in less-than-perfect condition in the Forth Worth Metroplex. At DamagedCars.com, we pride ourselves on quality customerservice. 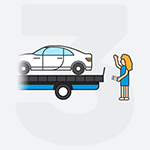 With nationwide service and free towing we make the process of sellingyour junk or damaged car easy and quick. Just submit your basic vehicleinformation on the form to the right, agree on a purchase price, and we verifyownership. 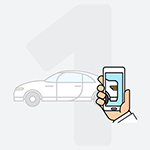 Then, we pick up your car using a local Dallas service provider andpay you with a check on the spot. Texas has unique requirements for transferring a title. TheTexas title has two locations for the seller signature. On the front of thetitle in the center, the seller signs the line marked "SIGNATURE OF OWNEROR AGENT". The second signature is on the back of the title in the uppersection. Make sure you don’t sign in any other location. Anyone listed as “Owner” on the front of the title must sign as “Seller” using the same name shown on the title. Only the “Owner” can sell a vehicle, and the state of Texas requires a title for the sale of any car, truck or SUV. If you don’t have the title, you have to go to the Texas Department ofMotor Vehicles Office for a duplicate title before you sell your damaged car. We do. If you have a totaled car, wrecked car, car with a blown engine or any kind of major mechanical issues, we'll buy it! Regardless of condition, make, model, miles, or year we purchase vehicles of any type. See how much your car is worth today!